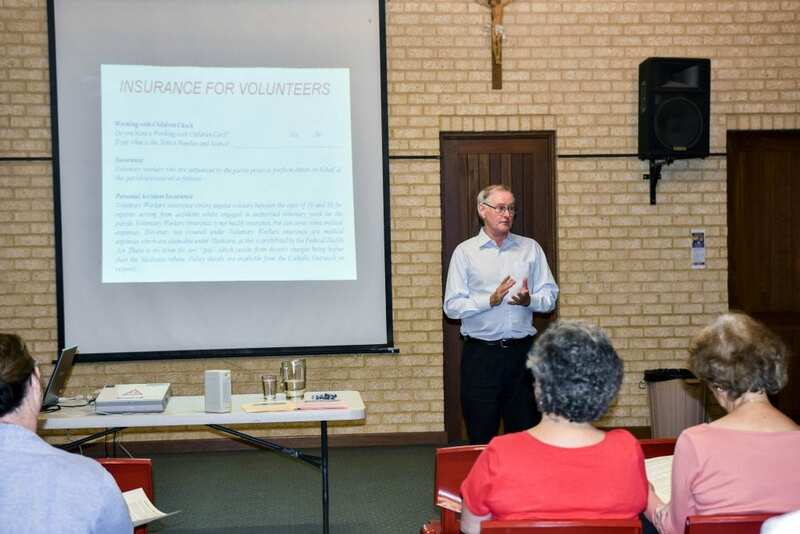 Peter Mc Minn was the Director of Perth Archdiocese agency Catholic Outreach for 20 years. Photo: Olivia Bunter. 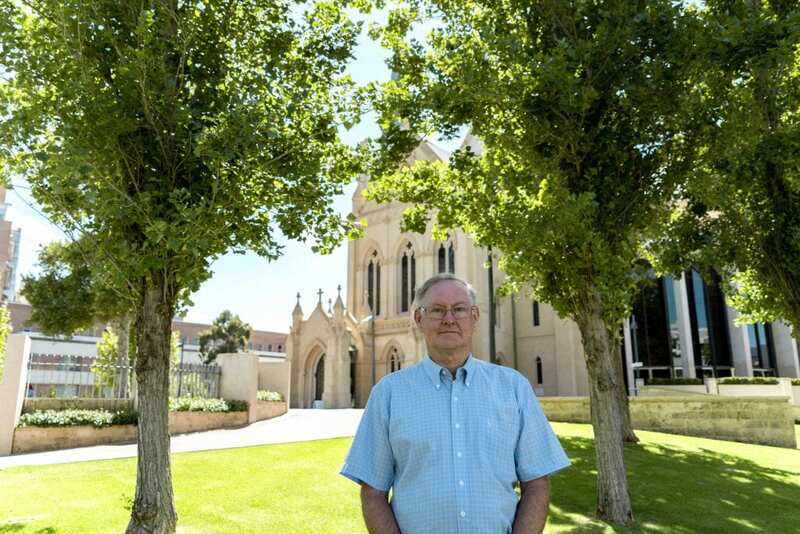 Having retired at the end of 2018, Mr Mc Minn expressed his enthusiasm to The Record for the role that connected him to so many people across the Perth Catholic community. In the 1990s, Mr Mc Minn assisted his wife in setting up a program called “MoreCare” at their local Bateman Parish. Mr Mc Minn’s wife was an original coordinator of the program and he became a first-hand witness of its good works. He was right behind the values it embodied, which were about giving people another way of living their faith and being involved in a community. 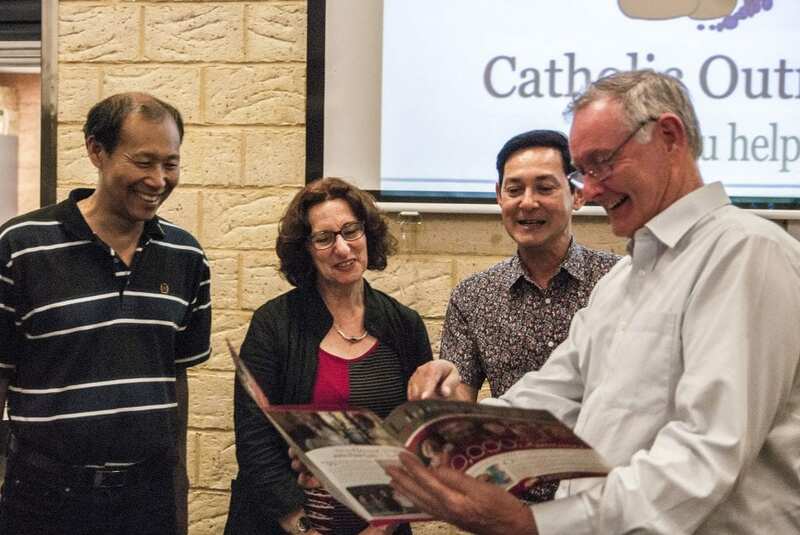 Peter Mc Minn (right) and co at Catholic Outreach’s 2015 Christmas Appeal Promotion. Photo: The Record. A few months later, he became the director, and never looked back. During his 19 years with the Catholic Outreach, Mr Mc Minn explained the joy he felt in working with enthusiastic people who were focused on helping local communities. He said he related to the passion they expressed at being involved in the program. The work of Catholic Outreach encourages volunteers within parish to work together in supporting those in need within the local community. Mr Mc Minn said what made it special was watching someone new join a parish and express interest in lending a hand. “To help the program thrive, it’s up to the enthusiasm of the people at the parish. Peter Mc Minn addresses an Ocean Reef Parish audience in 2017. Photo: The Record. The only goal Mr Mc Minn says he set when he started the role of Director some 20 years ago, was to help foster opportunities for communities to continue and grow – whether that be educating new people who did not know anything about how to be involved or through supporting those who were already doing it. Now that he is retired from full-time work, Mr Mc Minn said he would like to spend more time volunteering at his parish of Bateman. “I’ve made a mental note not to take on anything new for a year, as there are so many opportunities and so many things to get involved in,” he added. “At the moment I’ve still got more things to do than I can achieve in a day. “It’s another chapter of my life and I think I’ve reached that point where I want to use all these experiences and everything I’ve learned over the past 20 years as Director of Catholic Outreach – it’s just a matter of working out where to put that energy,” he concluded.